I have never requested a topic before so I am not sure how this is supposed to work.....Like should a whole bunch of people request something for it to be granted? Anyways I was wondering if we could have a Smallville topic cause I looked and I could not find one. Thanks, Vi. MOD EDIT: New thread for Smallville found HERE. Does a topic already exist appropriate for discussing suggestions/ideas for "future plots", i.e., books/plots that occur post-Breaking Dawn? MOD EDIT: It does: Sequels (in the Quench forum). Location: Watching for The Vampire Diaries season two, and Glee season two!! Well I know that there is a Vampire Diaries (TV show) thread, but could there be a thread for Vampire Diaires SKITS? The Twilight Skits thread has been very popular in the past, and VD fans need something to do while waiting for the second season. Thank you for reading and thank you if this becomes a thread! 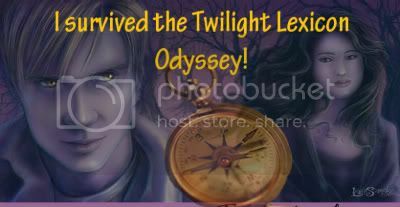 MOD EDIT: At this time we won't be adding any skit or role playing threads that aren't Twilight related. Thanks. ILoveAliceCullen<3 is the best VFF ever! I was wondering if we could add a thread to discuss the media, namely things like the paparazzi and tabloids and such, and what use--if any--the pose to the average person, as well as it's modern day relevance? Just to let you know, I'm a little hot right now, reading reports that Kristen Stewart may've witnessed a fist fight between paps when she tried to board a plane from Austrailia to South Korea. I won't post a link to the photos(because they're dispicable pap photos), but Kristen seemed to be pretty upset, possibly even crying about it. I also would like in this thead to touch upon the media's responsiblity. That is, does honest, unbiased reporting exhist, or do most media outlets embellish things to suit their POV or to get more viewers/generate more hits on their site? I would also like to talk about when people say things in interviews and they're taken out of context by internet bloggers and things like that. I would also like to discuss if there are any really honest entertainment news outlets anymore. Is there even such a possibility of such a thread working here as long as level headed discussion occurs and doesn't get out of hand(like what happened with Kristen at the Sidney Airport)? We're not ignoring this request, just having a good hard think whether it's a good idea. Realistically, it's hard to see us getting level-headed discussion if the sorry exchanges on the blog are anything to go by. Could we get a topic going where we discuss the Eclipse costumes and where we can find items for costumes and such? MOD EDIT: There is a thread found HERE that talks about costumes ideas. If you don't find what you want on there, then post a question on the thread with more specifics. I would love for Alphie and Pel to post kinda of a nostalgia of this website they created. Some facts like beside Alphie and Pel who was the first user to sign up for this forum .When did it start and so on. I always find that kinda of stuff interesting. MOD EDIT: Not sure if this will happen or not, but in the meanwhile, have you checked out the Archive Forum at the bottom of the page? It redirects you to the archives of the Lexicon and you can read old threads and even see where Stephenie Meyer posted. There is lots of fun stuff to look at there. There's a lot of good Bree Tanner threads, but I wanted to discuss something I perceive as a small disconnect between BT and EC, a small inconsistency. I wanted to discuss it but didn't want to muddy up the wrong thread. We've now started a special thread for topic requests about Bree's novella (so no one reading this thread gets spoilt). Thanks for your tact in not posting your request here! Can we please have a discussion thread for Tamora Pierce novels? We have had mini discussions on the teen thread and both book threads off and on but when I checked to see if there was already a thread for the topic I got ten pages of discussions in other threads. Please and thank you! Mod Edit: You can go here to discuss Tamora Pierce and her novels. That one's for Ianto. Risen Mitten, Life Knife, and that old classic...Stun Gun. Can we please have a Topic to dicuss Need & sequels by Carrie Jones. Please? Mod Edit: The new thread for Carrie Jones and her books is here. How about a thread for talking about the World Cup? There seem to be enough of us watching it to have a bit of a discussion. Thanks.